The prototype features camouflage all over the body, but this doesn’t mean that the German automaker intends to change everything. 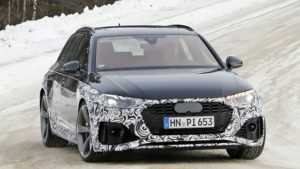 On the contrary, most of the styling changes for the 2020 S4 Avant will happen at its ends. The mighty wagon definitely hides a new and lower grille, which seems to be wider as well. In addition, the carmaker will replace today’s teardrop elements with a new headlight design, while the rear hatch should include new graphics for taillights and nothing else. Of course, Audi will add several new exterior colors and most likely restyled wheels. The refreshed cabin should feature the redesigned dashboard with a new infotainment screen which is going to be repositioned. So far, the display was on top of the dash, but the 2020 Audi S4 Avant is definitely moving the feature in the center stack. Today’s S4 Avant comes paired with a 3.0-liter turbocharged V-6 capable of producing 354 horsepower and 369 pound-feet of torque. The updated sporty wagon will probably be fitted with the same yet improved option. How come? Well, the biggest rivals from Mercedes and BMW get 390- and 380-hp systems, so Audi must act in order to stay competitive. However, we highly doubt that the automaker can squeeze off more than 375 from the mill. In any case, the option will continue to use an eight-speed automatic transmission and all-wheel-drive. 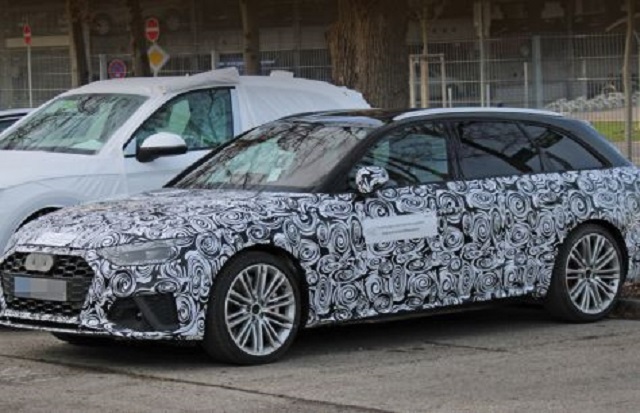 According to our sources, the refreshed S4 Avant will be introduced in late 2019.